Star Anise is a unique spice that has a sweet anise flavour. Learn more about this spice, including where to buy it and how to cook with it! Star Anise is, by far, the prettiest spice in my cupboard. These fragrant little pods look more like delicate wood carvings than something you would cook with! While they would probably be a lovely addition to potpourri, they have much more to offer than just their looks. 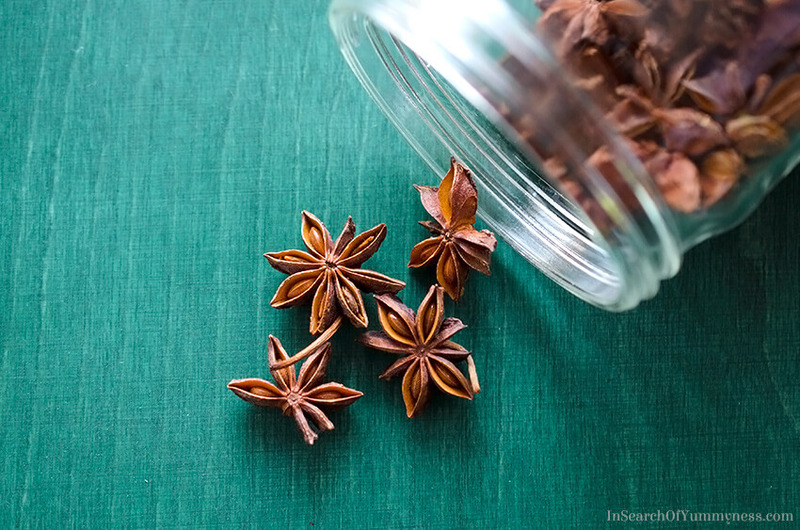 Did you know that Star Anise is one of the five spices in Chinese five-spice powder? It’s also one of the predominant flavours in Vietnamese Pho (a noodle soup), and Sambuca (an Italian liqueur). Read on to learn more about this spice, including how to use it in your cooking. 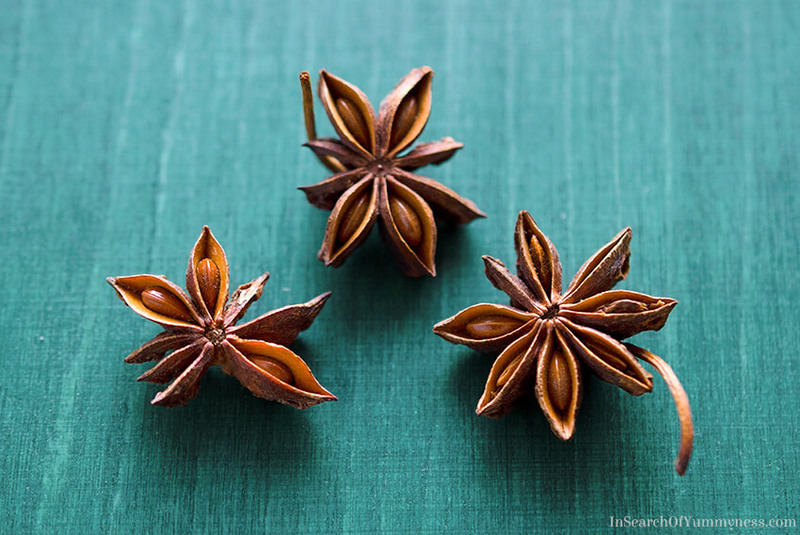 Star Anise is a star-shaped seed pod from an evergreen tree, which is Native to China. While technically not related to regular anise, this spice does have a similar flavour. This isn’t the strong, medicinal liquorice flavour of black jelly beans though. The flavour of star anise is sweeter – more similar to fennel than liquorice. Although it is more bitter than regular anise seeds. Where to buy Star Anise? Star Anise is sold whole, in pieces, and ground into a powder. Packages of whole star anise can be expensive, since it takes a lot of work to gather the spice and keep its shape intact. The packages I usually buy have some whole pieces and lots of broken pieces. These packages are more affordable, and I don’t feel bad about crushing the broken bits (save the whole ones for garnish!). 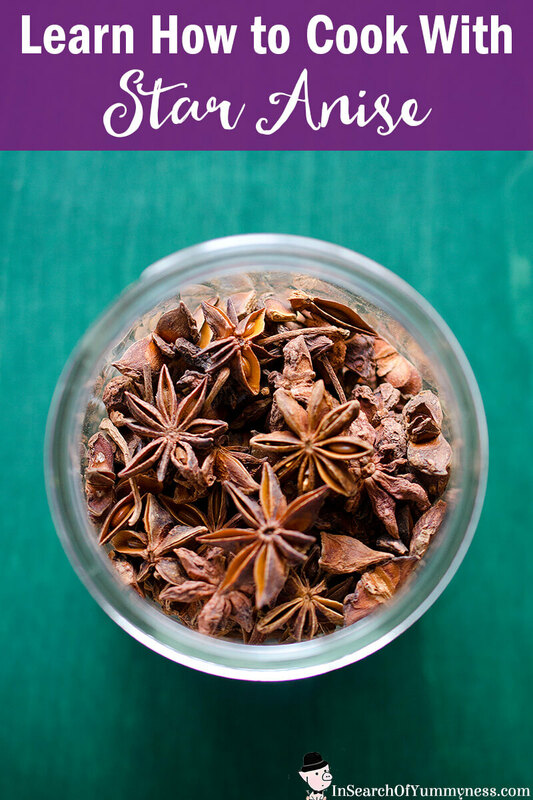 Ground star anise can lose its flavour quickly, so your best bet is to buy the broken pieces and grind them yourself (you can shave them on a Microplane grater like cinnamon too). You can usually find this spice at most grocery stores these days. If yours doesn’t carry it, you can try an Asian market or buy it online from Amazon. As with all spices, you should store star anise is an airtight container, in a cool, dark place. What to cook with Star Anise? 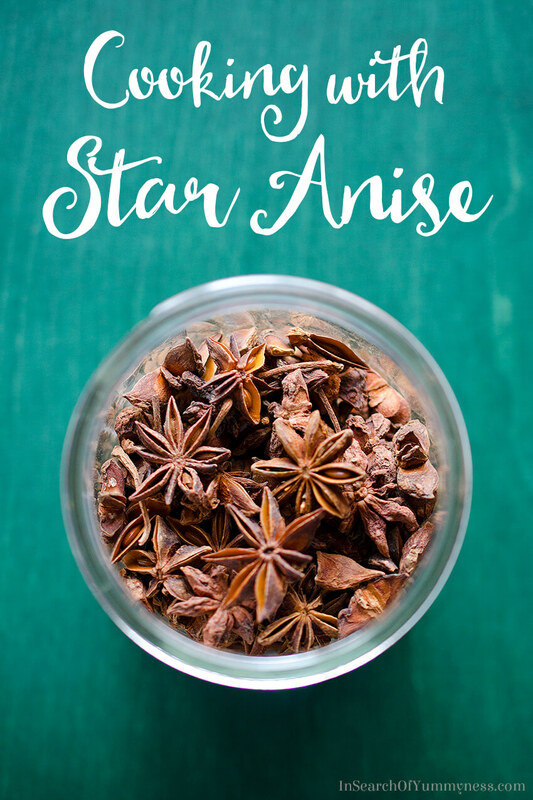 If you’re just getting started cooking with star anise, you should start adding it to your dishes slowly. Too many pods can overpower a dish, making it bitter and unpleasant to eat. If you’re adding it to a soup or stew, try using one or two pods to start. This can be enough to impart a flavour, without obliterating the rest of the dish. Try adding whole pods to soups or stews that are made with beef or chicken, like this Pho with beef and noodles, or this chicken soup with shiitake mushrooms. A single pod can elevate a batch of homemade tomato sauce, too. You can also use the whole pods to mull wine, cider or beer, like in my spiced apple cider recipe. It ‘s also nice in a fruity Christmas punch. Grated or ground star anise works well desserts like gingerbread, chocolate cake or brownies. This is not a sponsored post, but it does contain an Amazon affiliate link. I hope this was helpful Carol! Fennel seed has a liquorice flavour too, in case you haven’t come across that yet. I got attracted to Star Anise for the health benefits. Digestive Ailments have improved since using the Star Anise. As a tea, usually boiling it, with a Spearmint tea bag. Reading your blog opened up some ideas. Grinding it to add the batters, will try. Is there a way to soften them? I leave the boiled pods in my teapot to reboil pot after pot, until the flavour is gone. Economical. I Will try grinding to a powder, place in a Tea Egg then make the tea. I find it makes a great Iced Tea, with so many other flavoured teas to add. A beverage section would have been nice, so on to more searching. I love adding Star Anise to tea, but I haven’t tried it with spearmint tea yet! Thanks for sharing that. As for softening them, I haven’t found that anything makes them soft enough to eat – you either have to steep them to add flavour to something, or grate/grind it into powder to make it edible. I’ll do some research and see if I can add some more beverage suggestions to the post, thanks for your feedback.